The expanded influence of ICT has been a key development over the past 30 years and looks set to dominate labour market changes in the foreseeable future. In parallel, modern employment and careers service delivery has become fundamentally IT-dependent, because of the profound changes evident to the methods of recruitment and job search. As part of the symposium on Integrating ICT in employment and career practice: opportunities and challenges, Alan Brown, Jenny Bimrose & Deirdre Hughes presented a contribution that explored the impact of ICT on employment and careers work, some challenges and emerging opportunities. 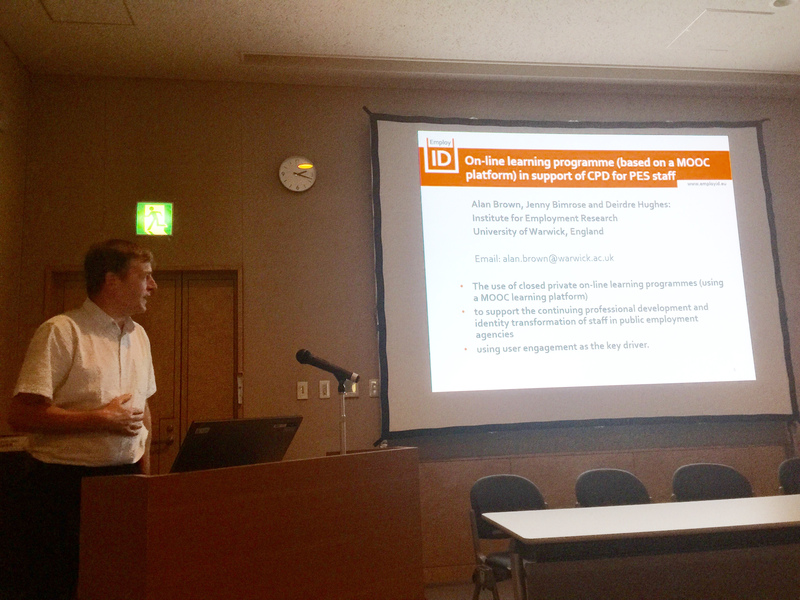 The validity of socially constructed knowledge and the influence on the training of employment and career practitioners were explored, through the use of closed private on-line learning programmes (using a MOOC learning platform) to support the continuing professional development and identity transformation of staff in public employment agencies in Europe. 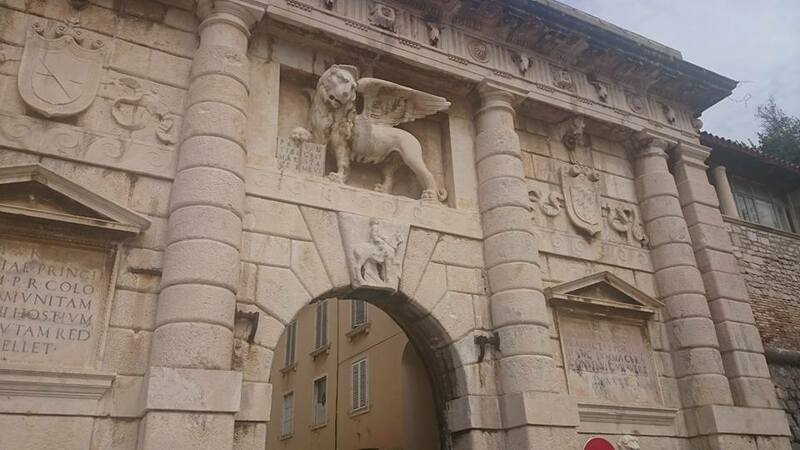 EmployID member Barbara Gogala (ZRSZ) attended at ANSE Summer University in Zadar, Croatia from 17th to 21st August 2015. The summer universities topic was “Supervision - Guiding Lights for Development in Times of Crisis”. Summer University was organized by Croatian Association for Supervision in cooperation with ANSE. Plenary lectures focused on the impact on crisis to professionals offering supervision mostly in social field. The workshops were more diverse, showing some creative methods, tackling diversity, evaluation process, secondary traumatization… Attention was paid to the results and learning outcomes of International intervision processes that have been going on among ANSE members for more than 15 years now. 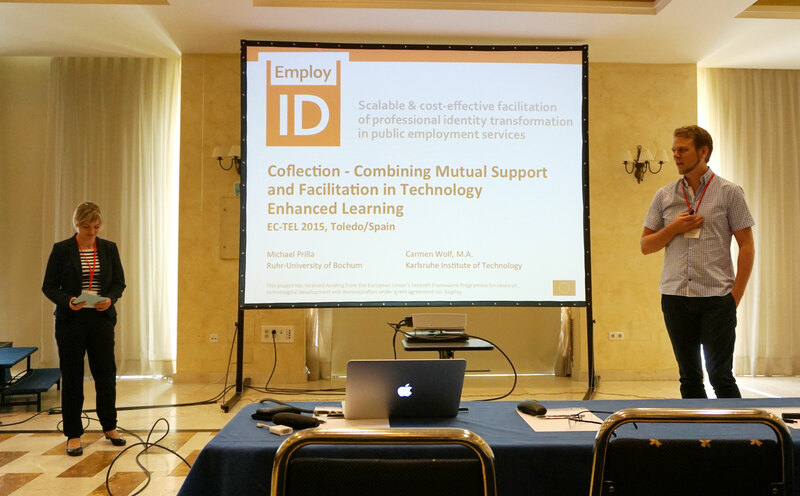 On 18th August 2015 Barbara Gogala (ZRSZ) and Carmen Wolf (KIT) held a workshop together on “Tackling the challenges of employment counsellors with technology-enhanced Peer Coaching”. Barbara was there face-to-face as presenter and Carmen was connected via Skype. This technical challenges was an opportunity to try out another way of presenting material remote. The workshop was on the challenges the PES face and how EmployID is tackling these with Technology-Enhanced Peer Coaching/ Online Peer Coaching. Current works on concept, training and tools were presented and afterwards the advantages and disadvantages of doing peer coaching online were discussed. Advantages that were seen in Online Peer Coaching were: It might be better for some people to express themselves since they are able to take their time (“slow down – think first – write down”), social media is too unprofessional to use for the professional context, it is a part of nowadays society world (new media) and it should be seen as another tool for coaching instead of a concurrent method or approach. Disadvantages that were mentioned was the influence of sound (if with audio), missing contact and therefore the missing emotional connectivity. The question was raised, if persons using the peer coaching know each other before and blended-learning approaches were suggested so that people better understand each other and their concepts behind written language. The interactive poster on Augmenting Learning Tools with Reflection Support has won this year's ECTEL's Best Poster Award. It has shown the potential of reflection support as a plugin to other systems to provide reflection opportunities. 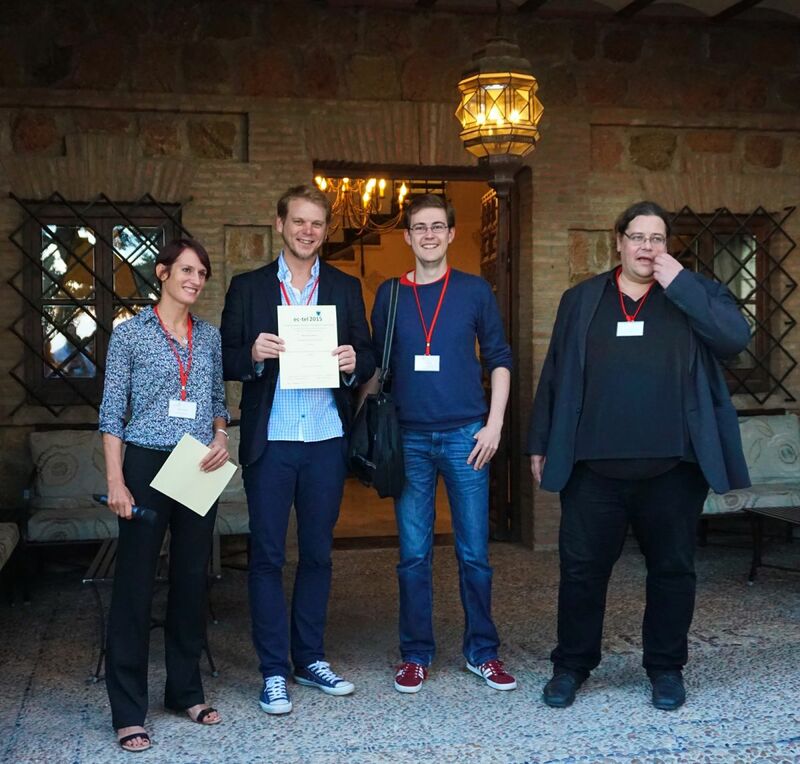 EmployID representatives (Christine Kunzmann, Andreas Schmidt, and Carmen Wolf) have organized the sixth edition of the MATEL Workshop series. In this workshop edition, we have concentrated on a pattern-based approach to capturing socio-technical design experiences, an area where EmployID is also concentrated on. The participants were actively discussing opportunities and challenges with patterns. A more detailed summary as well as the contributed papers and presentations are available from the MATEL wiki. Active Listening is one of the core skills of peer coaching identified by EmployID and is also very important in other facilitation activities and personal life. The video by Carmen Wolf (KIT) shows Do’s and Don’ts and what is necessary to be an active listener. 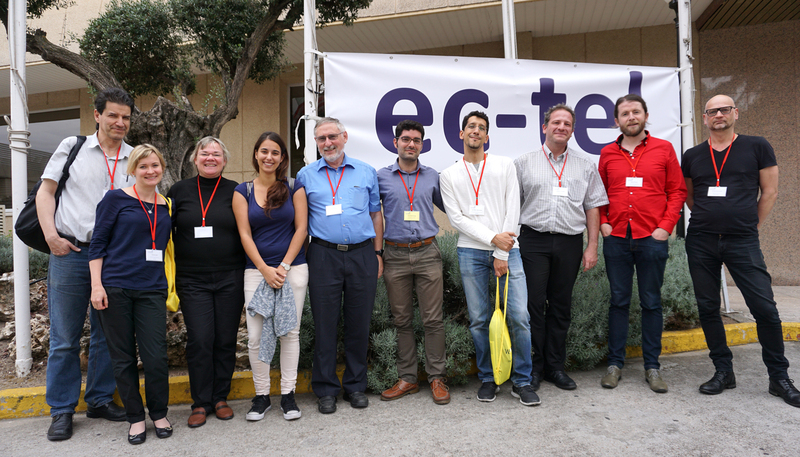 This year’s Joint Technology-Enhanced Learning (JTEL) European Summer School was organized together with Federica Web Learning and the EMMA project (European Multiple MOOC Aggregator) which are both from Università di Napoli Federico ii. 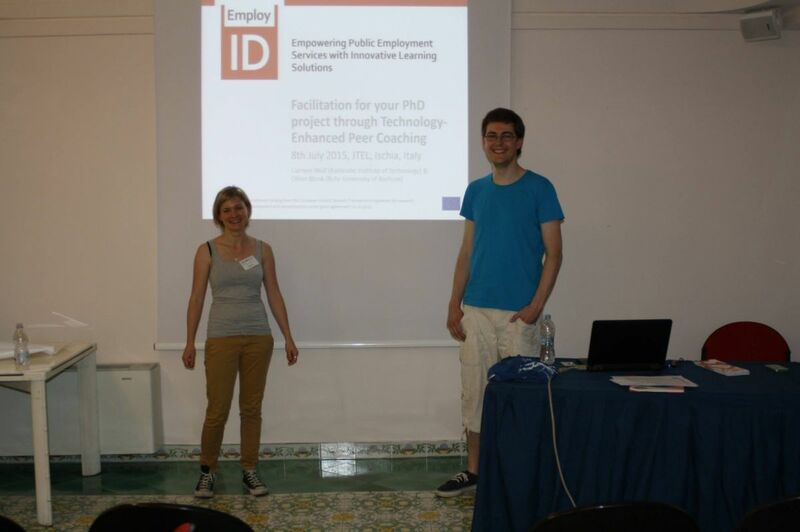 The EmployID members, Carmen Wolf from Karlsruhe Institute of Technology (KIT) and Oliver Blunk from Ruhr-University of Bochum (RUB) attended in a double-role as PhD candidates and workshop leaders. Graham Attwell and Artemis Travlou from Pontydysgu joined the summer school to lead a workshop on Labour Market information and to exchange research results and ideas around that Learning Analytics and MOOCs. The main topics of the summer school were MOOCs, Learning Analytics, open data, inquiry based learning and improving scientific work through workshops on paper writing, reviewing, networking (with social media), presenting or pitching a thesis and project acquisition. It was a very good combination between current research dissemination and soft-skills empowerment for young researchers.